I have a lot of content on this site and when I redesigned it in 2014, I made an attempt to organize the info so that everything was easy to find. However, I understand that people just starting out may still find this site difficult to navigate and not know where to begin. Even the software I use isn’t abundantly clear because half of my tutorials use Kerkythea while the other half uses V-Ray. This post is long over due and will be my attempt to provide some clarification on a lot of questions that I get. It is also help those just starting out to know which techniques to focus on and how to most efficiently use their time learning arch viz. These steps are ordered in such a way as to get you creating the best images in the fastest time possible. If you were looking to do this professionally or churn out really high end images, I would shuffle some of these steps around and put a higher priority on 3D model texture and render settings. However, this website is widely used by students and architects who don’t do this professionally and are looking for speed and simplicity. These steps are more or less how I started out and what I believe is the best path for most. Landscape and vegetation are some of the trickiest things to get right in arch viz. This area has taken me the longest to get right and I am still experimenting with techniques. Almost every arch viz image will have people in the illustration and this is one thing that 3D software still does not do well. Therefore, it is important to master adding people in Photoshop and knowing how to handle the different lighting situations. Skies often take up a large portion of the image and set the tone early on. Make sure to get these right. Once you have a good grasp of the Photoshop fundamentals, atmosphere then becomes a priority. The next series of tutorials are simple in technique and very fast to implement. As simple as they are, they go a long way into giving life to the image. I use color overlays on almost every image I work on. 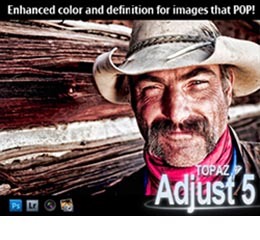 The tutorial uses an extreme amount of color but even a small amount goes a long way to setting the mood of the image. This is something I see may people ignore and is something I lean on a lot to get the mood of the image just right. This very quick technique also gives an image a ton of depth. Sometimes, all an image is missing is for the levels to be adjusted. This is similar to adjusting the contrast, but gives more control. If after going through the steps above, the image is still lacking something, give this technique a try. It only takes a few seconds and could be what your looking for. To get to the next level of visualization, you need to learn some rendering basics. Rendering software like V-Ray and Kerkythea take 3D models and bounces light around them to generate more realistic lighting conditions. However, early on, it is not necessary to know everything about rendering software. Instead, I think of it as just trying to generate a decent base image so that I can get into Photoshop as fast as possible. Later on when you decide to do this professionally, you can dive deep into the settings. For now, it’s about learning how to create a few different lighting conditions such as interior scenes, exterior scenes, dusk/night scenes, and cloudy day scenes. One last note, I have tutorials on both V-Ray and Kerkythea. Kerkythea is free and works well with Sketchup. V-Ray is a much more robust program that is somewhat expensive, but works inside of the Sketchup interface and can produce professional results. I currently use V-Ray for all of my renderings. This is the most basic of renderings. A clay model rendering is a rendering with no materials. I use clay model renderings all the time because they are fast (no materials to render) and are great to diagram with. Most rendering software has an option called “material override” that will allow you to replace all materials with a simple grey texture. As I said above, this is my rendering software of choice. It’s simple to use right out of the box and has many advanced features that integrate perfectly with Sketchup. If you are looking for a free rendering program, go with Kerkythea. It integrates well with Sketchup and is easy to use. There will be many times when you can’t get rendering software to do what you want it to do and you have to figure it out in Photoshop. It is really valuable information to have and will get you out of many jams, especially with presentations the next day. Simply put, this term refers to adding shadows in corners where geometry meets. By understanding this concept, you can add depth and realism to an image that is lacking both. It can also be used on diagrams or model image exports that haven’t been rendered. It can consume a lot of resources to add a ton of lights in a rendering program. Often, it can be faster just to paint in the light in Photoshop. I use Sketchup for all of my modeling. I have used Rhino, 3D Studio Max, Revit, Form Z, but have always come back to Sketchup. I prefer it because of its speed. No other software allows me to model as fast as I can in Sketchup. It also seems to be a universal software known by everyone. The majority of clients I’ve worked with, not only in the U.S. but also worldwide, either work with Sketchup or are familiar with the program. While I was in school, I used Kerkythea and created several tutorials during this time. It was a free program and was easily accessible to anyone who visited my site. Last year, I switched to V-Ray because I needed more features and a higher quality output. V-Ray is not free but is still a valuable program if you can afford it. V-Ray works within Sketchup and isn’t a stand alone program like Kerkythea. For all editing and post processing, I use Photoshop. There is free software like Gimp and Photoshop Express that you can use as a replacement, but nothing beats the real thing. This can range based on the needs and how it will be viewed. In school, most of my illustrations were about 2,000 px wide but this was several years ago. Times have changed and so has hardware. Today, I am now rendering at 4,500 px to 5,500 px wide. I think for students, because of hardware limitations, 3,000 px to 4,000 px would be a good size to aim for. All images made for my website in the past year were rendered at 4,500 px or higher on my laptop. I try to keep rendering times to about 3 to 4 hours (using my laptop). This is easy to accomplish if you are not using displacement maps and really high render settings. Once in Photoshop, I typically spend between 4 to 6 hours. This includes adding people, trees, ground plane, skies, and lighting effects. If there is anything that I missed or any questions you have, send me an email through my about me page or leave a comment. I see this as an evolving document that will grow and change over time, especially in the quick facts section.